Sat., 28 Dec. - Mon., 30 Dec. Sun., 29 Dec. - Mon., 30 Dec. Sat., 28 Dec. - Sun., 29 Dec.
Fri., 27 Dec. - Sat., 28 Dec.
Fri., 27 Dec. - Mon., 30 Dec.
See all 457 properties in Providenciales Intl. 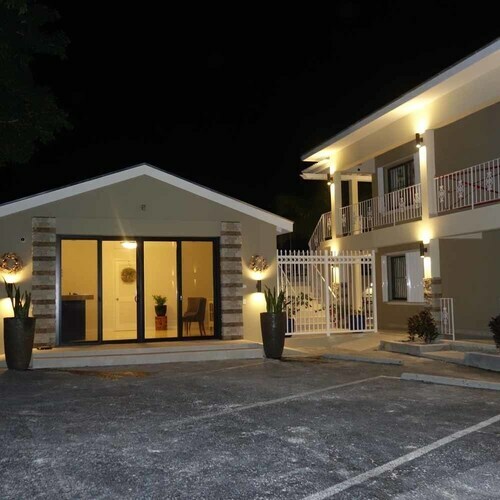 Situated near the airport, this hotel is 1.2 mi (1.9 km) from Our Lady of Divine Providence Church and within 3 mi (5 km) of Cheshire Hall Plantation and Pelican Beach. Grace Bay Beach and Turtle Cove are also within 6 mi (10 km). 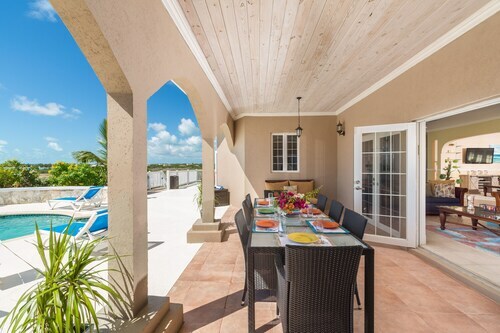 Situated in Providenciales, this vacation home is within 3 mi (5 km) of Our Lady of Divine Providence Church, Cheshire Hall Plantation, and Pelican Beach. Grace Bay Beach and Turtle Cove are also within 6 mi (10 km). Situated near the airport, this hotel is 0.7 mi (1.1 km) from Our Lady of Divine Providence Church and 2.8 mi (4.5 km) from Turtle Cove. Cheshire Hall Plantation and Pelican Beach are also within 2 mi (3 km). Situated near the beach, this villa is within 3 mi (5 km) of Our Lady of Divine Providence Church, Cheshire Hall Plantation, and Pelican Beach. Turtle Cove and Sapodilla Bay are also within 6 mi (10 km). 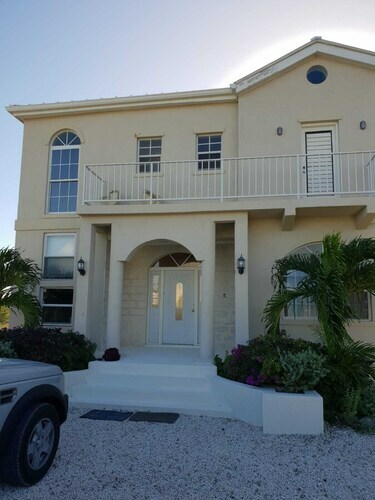 Situated in Providenciales, this vacation home is within 2 mi (3 km) of Chalk Sound, Our Lady of Divine Providence Church, and Cheshire Hall Plantation. Pelican Beach is 2.4 mi (3.9 km) away. Situated in Providenciales, this vacation home is close to Chalk Sound, Our Lady of Divine Providence Church, and Cheshire Hall Plantation. Local attractions also include Sapodilla Bay and Taylor Bay Beach. Question : How much is a plane ticket to Providenciales (PLS) from Ottawa (YOW)? Answer : Prices can vary from $525 to $1,073. Booking far in advance can usually help you get the cheapest rate. Don't forget, the sooner you book, the more you'll be able to save. Answer : The cheapest day to fly from Ottawa to Providenciales is on Saturday. So, if you are trying to save some cash on your next business trip look for flights on that day. Question : What is the cheapest airline flying from Ottawa to Providenciales? Answer : United Airlines strives to keep costs low for their passengers over the next three months. Fares are being booked at just $525, which is a bargain when compared to the more expensive bookings of $1,073. Question : How much time do people spend in Providenciales? Answer : The average time spent in Providenciales by passengers from Ottawa is six days. Answer : Yes, you can adjust your departure or arrival date. If you want to save some funds in doing so, the lowest-cost day to fly in April is Saturday. If you like to go with the flow, you may just find that you can pocket some extra cash. Question : What is the cheapest date to fly to Providenciales? Answer : As of Apr 15th, the best day for deals to Providenciales (PLS) is Apr 27th. It cost $603, which is 21% less than the average price to book the same route.